Lance and his family in their new neighborhood in Greenville. I’m Lance Barton, the new Eastern Regional Director at the Food Bank. 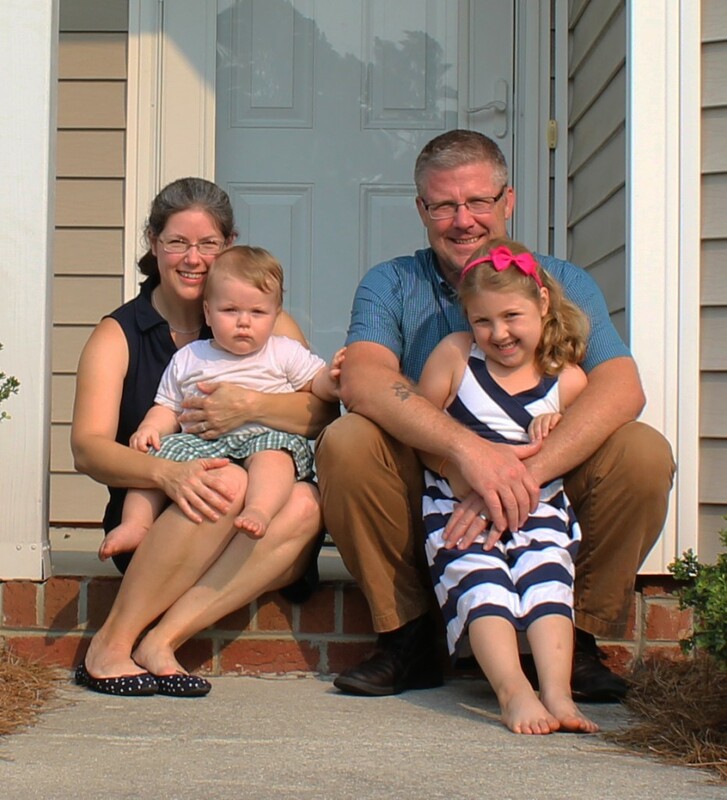 My family and I recently moved from Northern Virginia to join the Greenville community and serve our neighbors in need through the Food Bank’s Greenville and New Bern Branches. This begins a new chapter in our lives that started 13 years ago when I was without a job and needed food assistance. The day I walked into a local food pantry is a day I will never forget. I don’t remember the food I received that day, but I will never forget being treated with dignity and respect. What I needed more than anything that day was to feel like a human being during a tough time, and that is what I received. Soon after my first visit, I became a volunteer and went on to lead that food pantry for the next seven years. During this time I met an amazing woman who agreed to go on several dates with me that included packing boxes of food and driving to farms to pick up excess fresh produce for the pantry. Today I’m lucky enough to call her my wife. In 2009 I started a food bank in central Virginia to help rural food pantries get better access to nutritious food. Over the years we expanded our service across six counties and partnered with other food banks, nonprofits, and local farmers across the region to grow distribution of nutritious produce. It was a great success and continues to be one of the primary sources of farm fresh produce for the households they serve in central and eastern Virginia. I’m excited to bring all of my knowledge and expertise to this new position at the Greenville and New Bern Branches. But what I would most like to contribute to these communities is the power of treating people with respect. It is not simply the right thing to do, it is often the single, most powerful way we can help those in need. My family and I are happy to be a part of this community. I’m excited to give back and serve those living with food insecurity in eastern North Carolina.